Our Edinburgh hotels blog –visit www.edinburghhotelexperts.com – this is the Edinburgh hotel blog we introduced for, and manage for, Edinburgh hotelsw Association (www.stayinedinburgh.net). Innfi nite is the marketng consultant to Edinburgh Hotels Association. This blog will feature all the latest news and views about Edinburgh Hotels and wll include contributions frorm the members of the Association. Our Edinburgh Travel Guide blog – www.edinburghtravelguide.co.uk - again prepared and managed for Edinburgh Hotels Association, this blog is about all things Edinburgh travel, and contains news and views relevant to those visiting Edinburgh – latest Edinburgh travel news, travel advice, what’s on in Edinburgh, where to stay in Edinburgh and the top recommended things to do and see in Edinburgh. 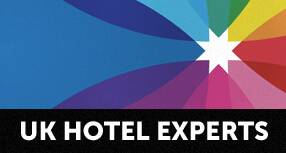 Our blog for the meetings and events industry – www.meetingsthatcount.com . Our parent company Innfinite is spearheading a major new on line, one stop meetings and events facilitation and venue selection project which will revolutionise the way we maximise the value of meetings, conferences and events in Scotland and the UK. This project is due to roll out in December 2011. Get our latest take on the Scottish meetings and events industry, and the rightful place of hotels and venues in this market – follow the Meetings that Count blog- and feel free to comment. We also invite you to visit and test our new on line personal travel agent service from Hamish, our on line persona who also features as the online travel agent for Edinburgh Hotels Association. Visit www.askhamish.co.uk to find out more. Please note that this site is still under development.